Photo courtesy of Warren Newhauser. 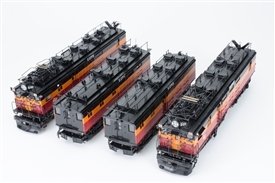 MTH O Scale Premium PS-3 Boxcabs displayed. HO Brass Overland Models GE Boxcabs displayed. 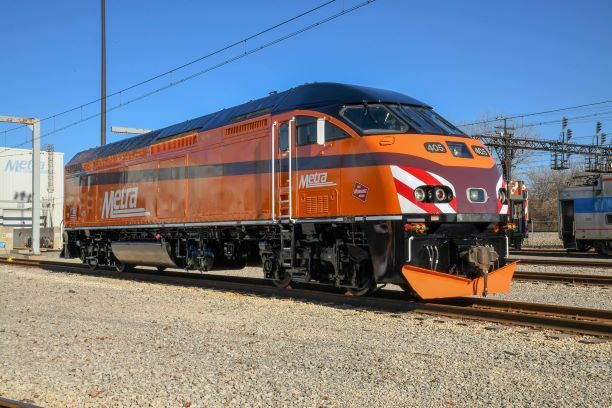 New Metra Milwaukee Road Heritage paint scheme below! 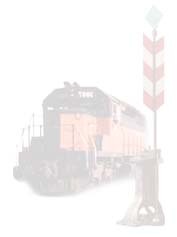 Due to some logistics considerations with our train trip on Saturday, our Convention Banquet is being restored to its usual day and time - Saturday Evening with the Banquet beginning at 7:00PM. The Convention Hotel is fully booked but we have obtained a block of rooms at the Holiday Inn Express in Inver Grove Heights, which is 1 1/2 miles from the Convention hotel. 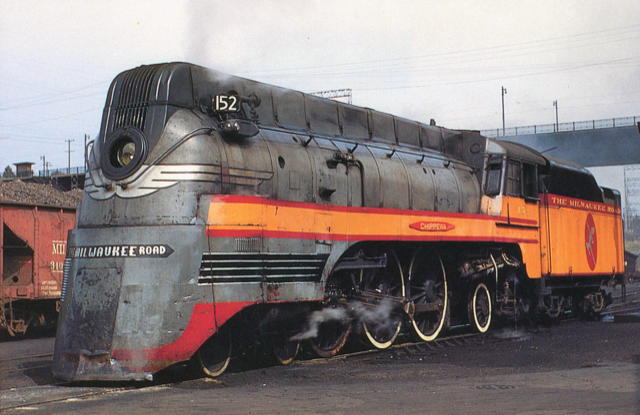 Please tell them you are with the Milwaukee Road Historical Association to get the preferred rate of $139.00. 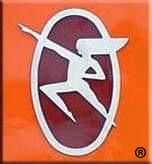 Their address is 5653 Bishop Ave. and the phone is 651-450-1100. We have also secured a block of rooms at the Microtel in Inver Grove Heights at 5681 Bishop Ave. with a rate of $119.00. Their phone number is 651-552-0555. Book promptly as these rooms will go quickly. 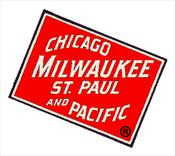 Again, telll them you are with the Milwaukee Road Historical Association to get the preferred rate. Both hotels include a breakfast with these prices. See you in South St. Paul June 20-23, 2019. 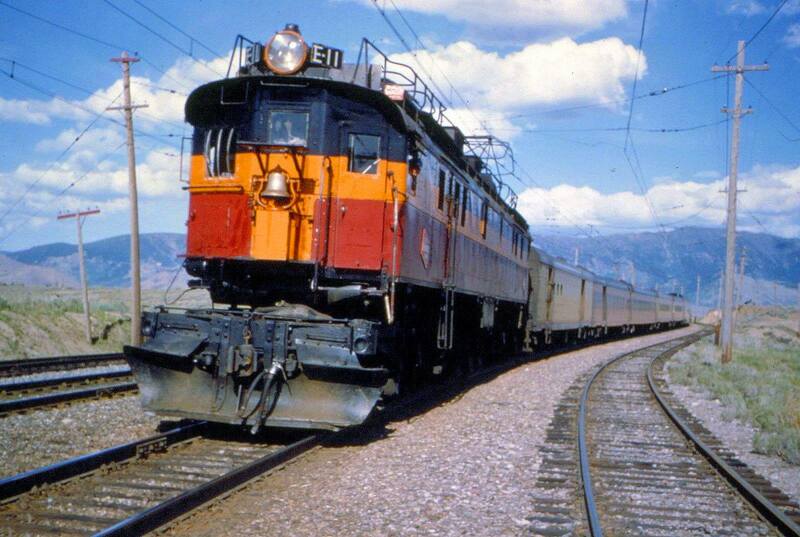 What is the Milwaukee Road? 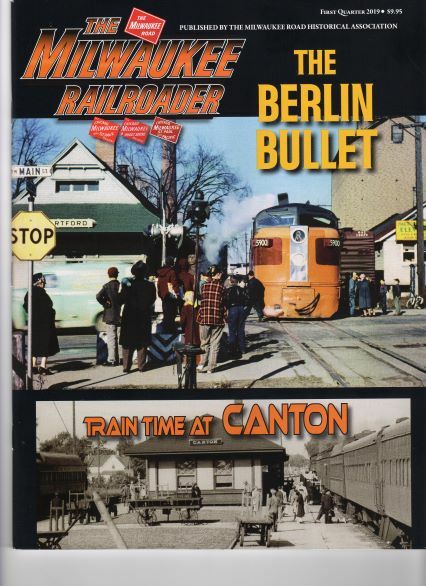 Follow the link above to learn more about this storied railroad. Need more? Join the discussion on our MRHA Facebook Page. and it will take you to our registration page. From here, we can take care of your membership request quickly. If you are RENEWING please check your 4Q magazine label to see when your membership expires - a number of members have renewed TWICE for 2018!! Don't wait to join or renew as membership dues will increase to $40 after February 18, 2019 due to postage increases! 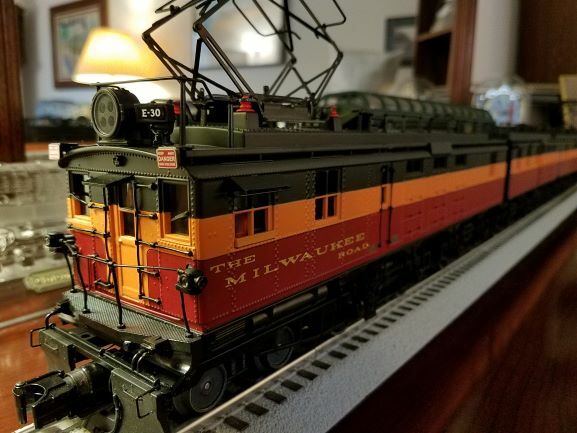 FOR YOUR INFORMATION: The Milwaukee Road Archives at the Milwaukee Public Library has a number of duplicate blueprints and drawings for sale. 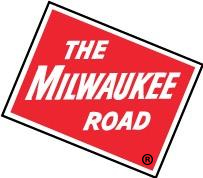 Go to the Milwaukee Public Library at the link below to see what materials are available. Do you want to talk to someone from MRHA? Would you like to see something that MRHA offers? Each year MRHA representatives attend a number of shows in various parts of the country. If you are near one of these sites, stop by and say Hello! and ask your questions, or look at our materials (though not all our items are at every show)! Here is a list of the shows that MRHA usually attends. Show hours are generally 9 or 10 to 4PM. 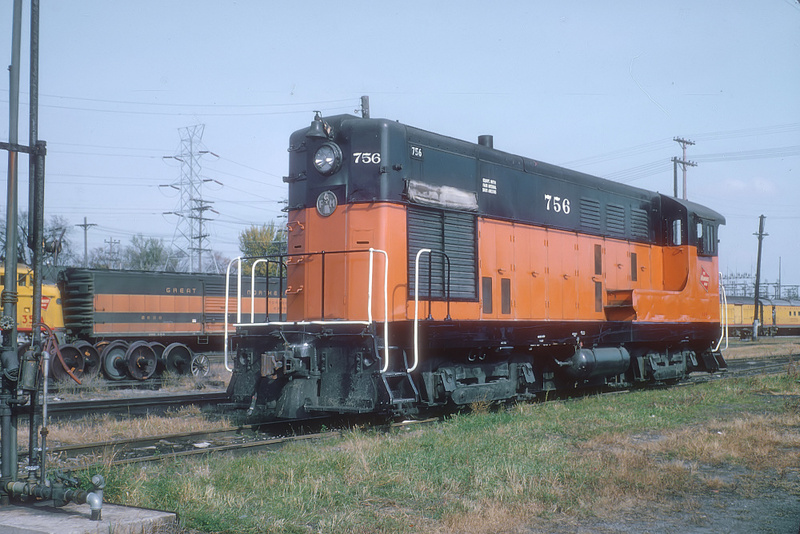 The following service marks and wording are the trademarked and registered property of the Milwaukee Road Historical Association. 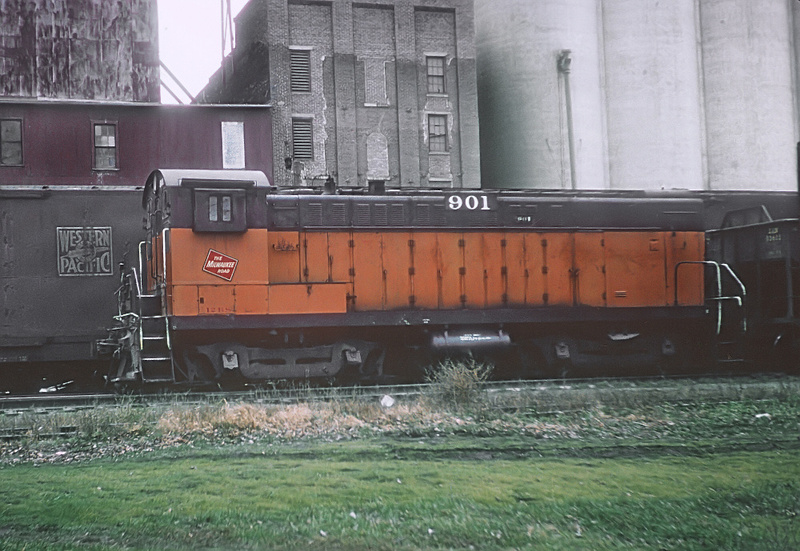 These marks may not be used without the consent of the Milwaukee Road Historical Association.